1. Please use car charger we provide, otherwise WIFI will be affected if use USB cable or other car charger. 2. 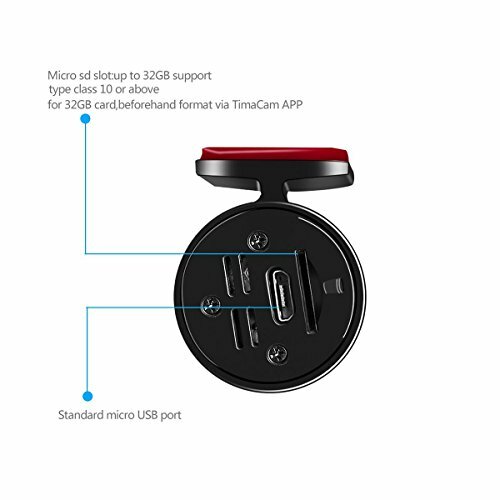 Please format Micro SD card through dash camera before recording. 3. If face any problem when you use it, please kindly contact us (szxkx001@163.com). 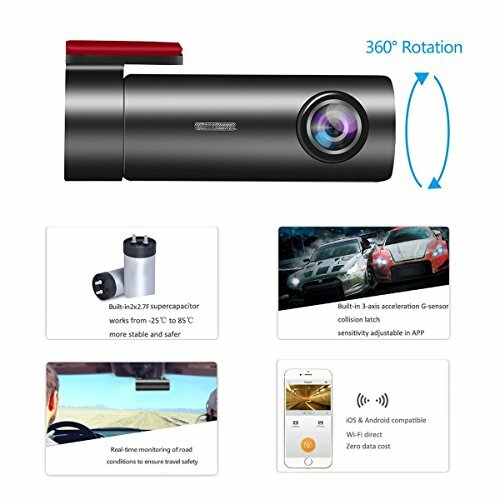 ★WIFI Connection & Remote Snapshot ★ Remote control dash camera and real time view video through APP after WiFi connecting. 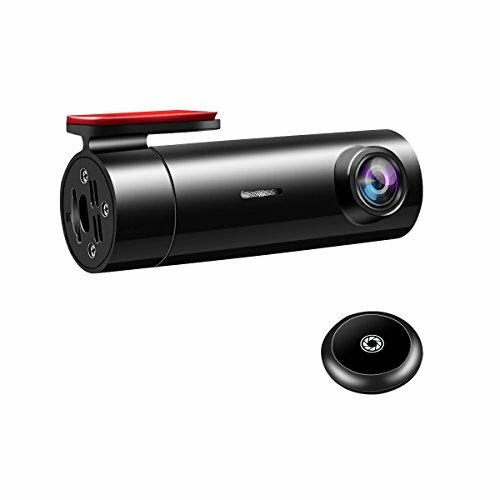 It is convenient to use remote button to take instant photo’s or video when driving, in case emergency happens, and the photos and videos could be extracted and stored and shared via app. 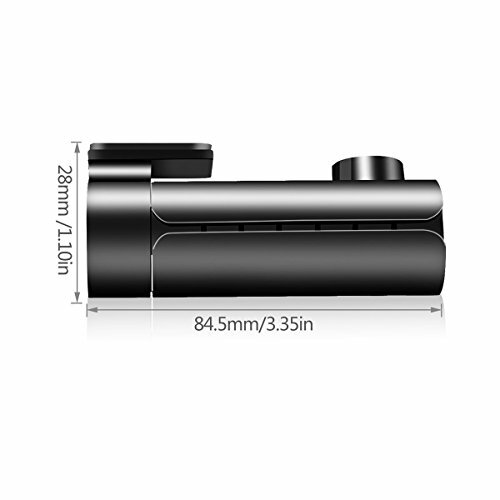 ★Light, Stealthy and Easy to use★ The dash camera is very neat and invisible enough to hide, it fits behind rear view mirror nicely, wrap the power cable with a pry bar we provide around the edges of the car and doesn’t obstruct your view. It starts to record as soon as there is power, and does not stop until you turn off your car. 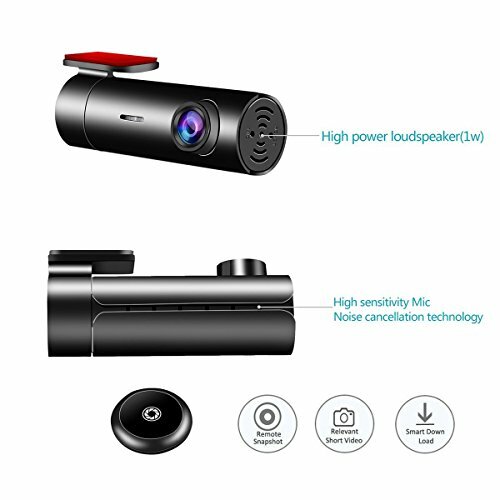 ★Powerful Functions★ G-sensor Lock (Collision sensor), super nigh-vision, auto loop recording, motion detection, WDR. Loop recording automatically overwrites the oldest recordings with the new ones. 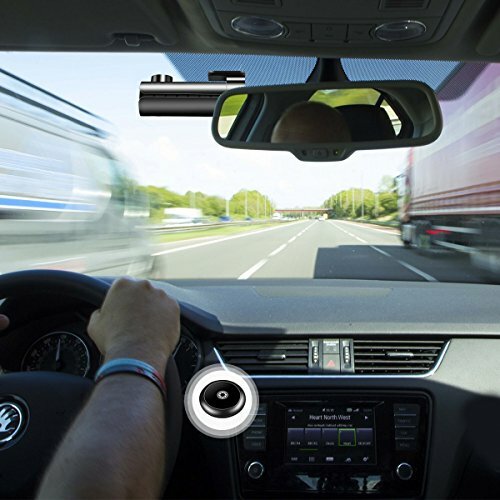 Collision sensor which locks any important footage with a collision in case of it is overwritten, this is a piece of evidence for insurance purposes or prove fault to law enforcement related to a car accident. 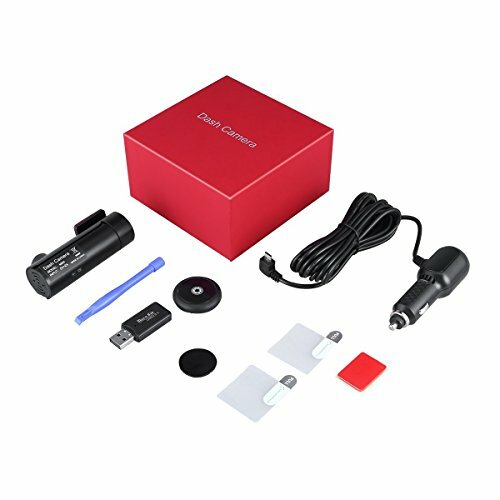 ★Safe Warranty★ Equipped with extra remote snapshot button with two sticky pads, 3M Sticker, Car charger with one USB port, Plastic crowbar, SD card reader, 12-month warranty and professional after-sale service.